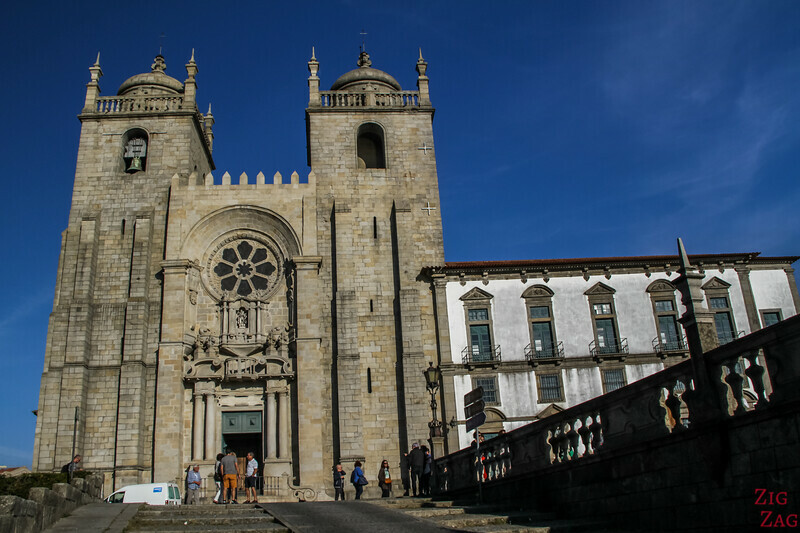 The Porto Cathedral (Sé do Porto) is a historical landmark in the Northern city. 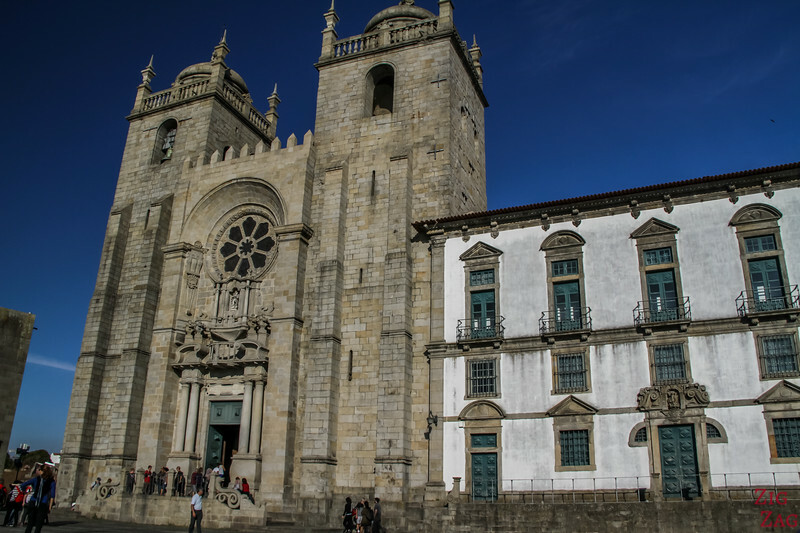 Overlooking Porto, Portugal, this 12th century Romanesque structure is open to visitors. 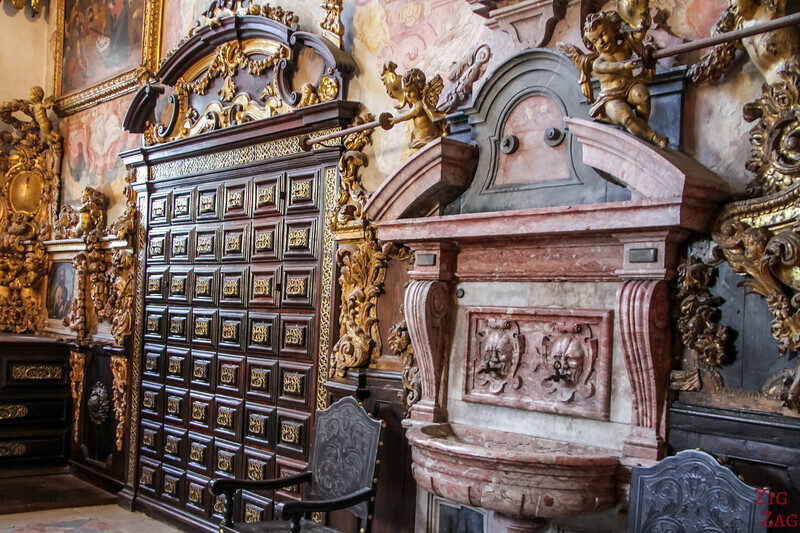 You can also discover its cloister and treasury. Plus do not miss the great views from the square in front of it! 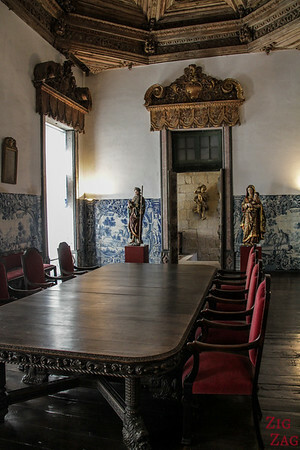 Sé do Porto is located not far from the Top table of the bridge. You can arrive from there or walk you way up from the city. It is quite a touristic spot so be careful around all the busses. But be sure not to miss it. 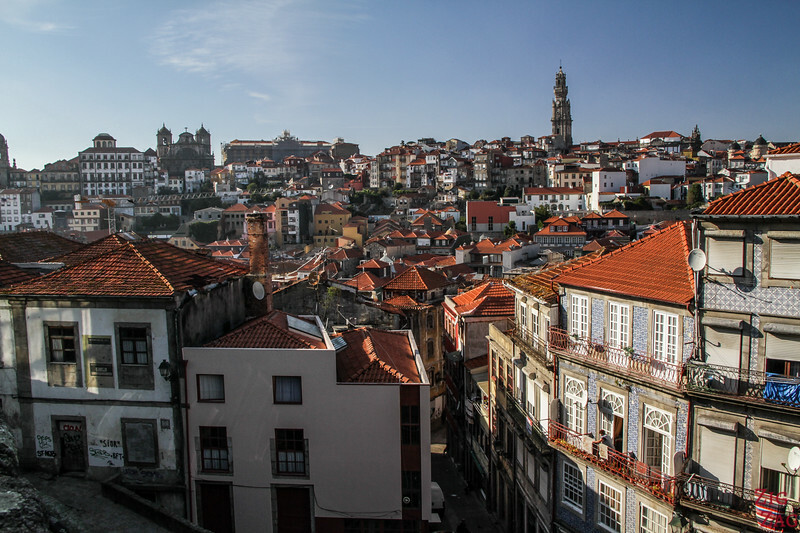 It is one of the best views in Porto. 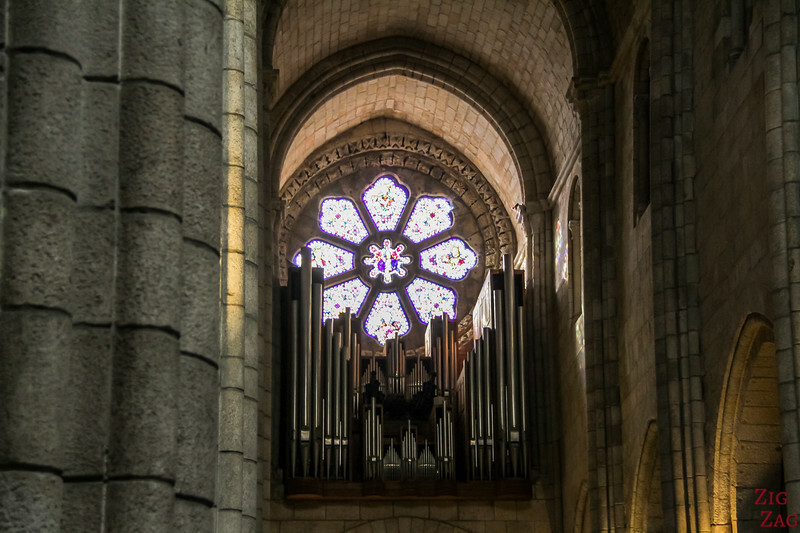 The Cathedral was built in the 12th and 13th century in Romanesque style. And its adjacent Gothic cloister in the 14th century. Of course alteration were made later but it remained an imposing structure overlooking the city. As you can see below, it has 2 towers crowned with cupolas but the façade is not much decorated, apart from the porch and the rose window. So it looks quite austere but it​ has seen some major events in the European history such as King's weddings or Baptism. 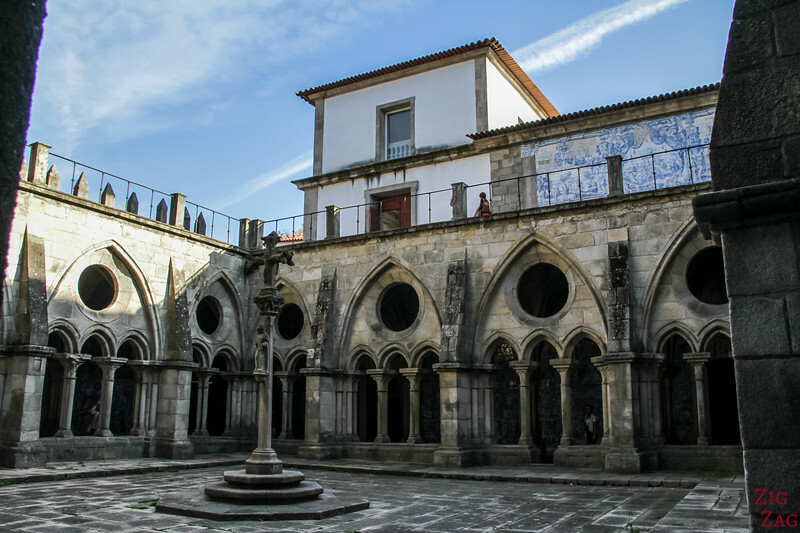 Located in the oldest part of town, the large square in front of the cathedral (Largo da Sé) was the heart of the city where shops were set up in the Middle Ages. 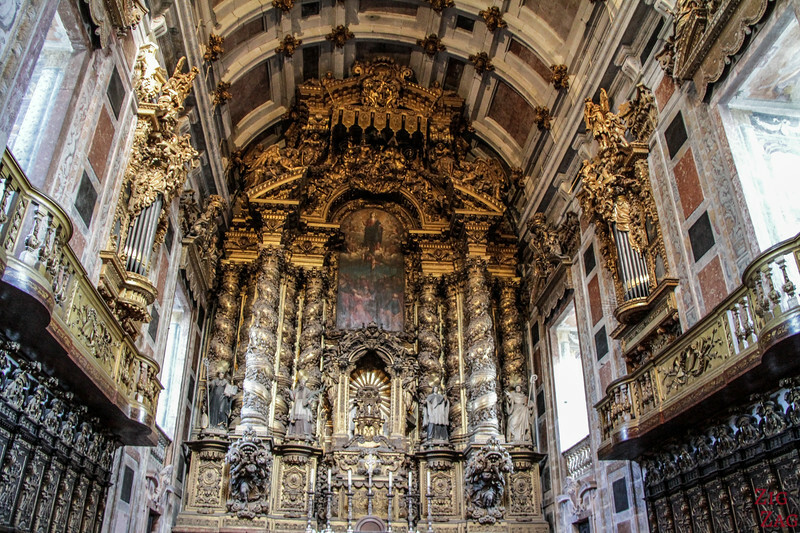 So the Porto Cathedral is part of the World Heritage Unesco classified site called Historic Center of Oporto. From the front square, you can admire very nice views of the cities. They were not my favorite but it is a nice combination of rooftop level views and spotting major landmarks. As you can see in the photo below the Clerigos tower (Torre de Clérigos) stands out in the panorama. 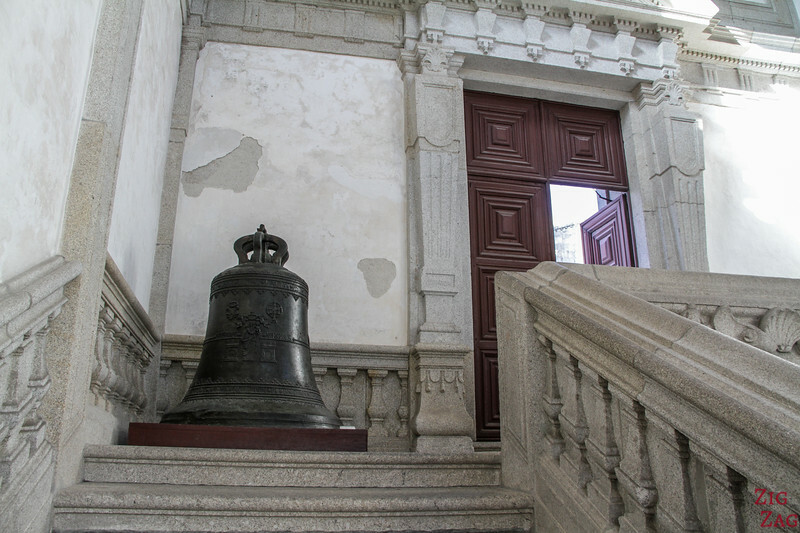 The entrance to the church itself is free. 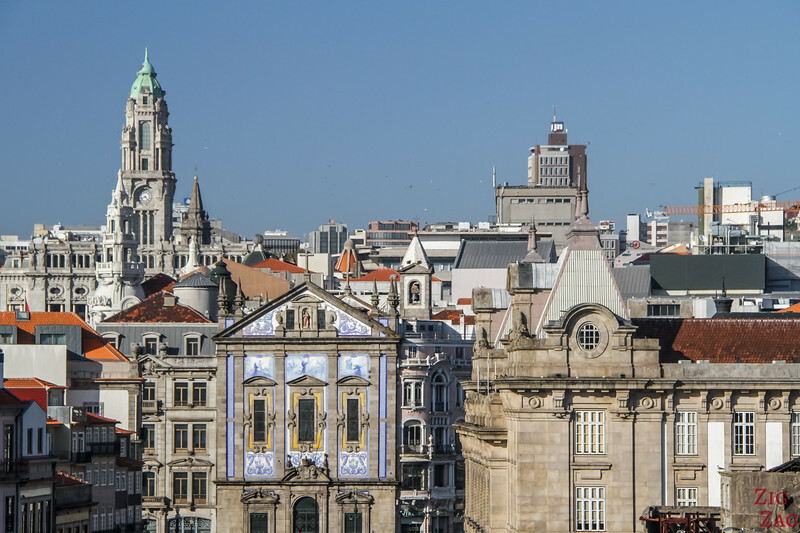 So don't miss what is considered one of the top things to do in Porto. It is a building very difficult to photograph. The Nave is dark, tall and narrow (plus I did not have my tripod with me). 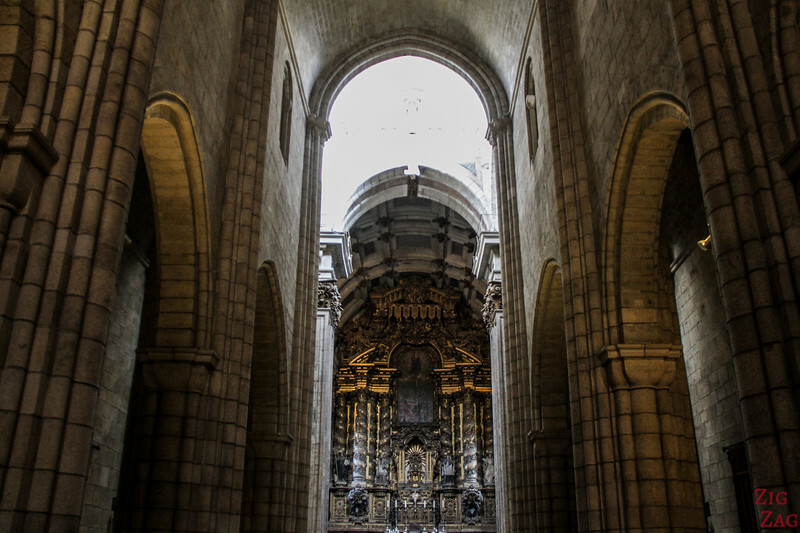 The Porto cathedral interior has a special atmosphere. It is hard to describe. The Rose window remains of the Roman architecture. From the inside you can spot the pipe organ just in front of it with an arc shape around the window. They sometimes organize concert in the cathedral. The organ was built in 1985 by a German. You can learn more and listen to part of a concert on G﻿﻿ailatlarge. 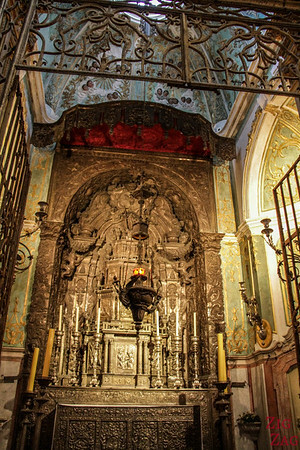 The apse was rebuilt in baroque style in the 17th century. You cannot miss it, the decor is really heavy. One of the most famous chapel is the silver one. 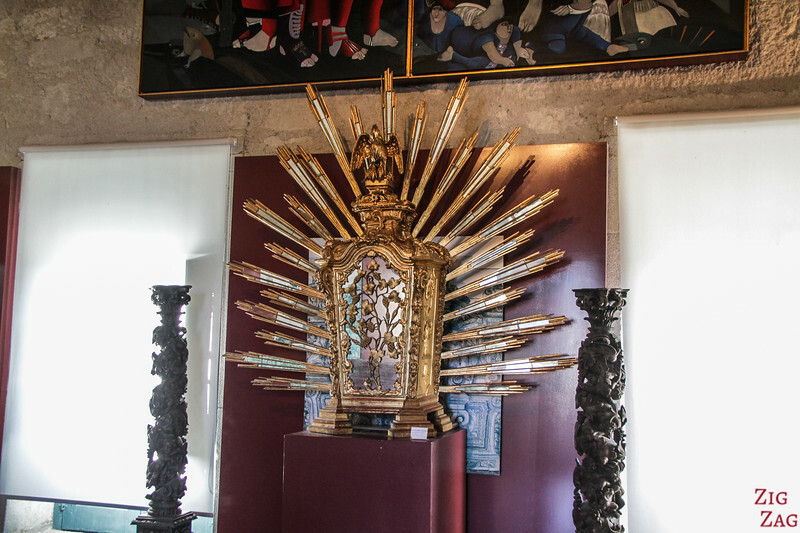 The story says that at the beginning of the 19th century, when Napoleon's army entered Porto, a local decided to paint the silver to hide it. They were fooled and the chapel was left untouched. For a fee you can then visit the Gothic Cloister on the South side. 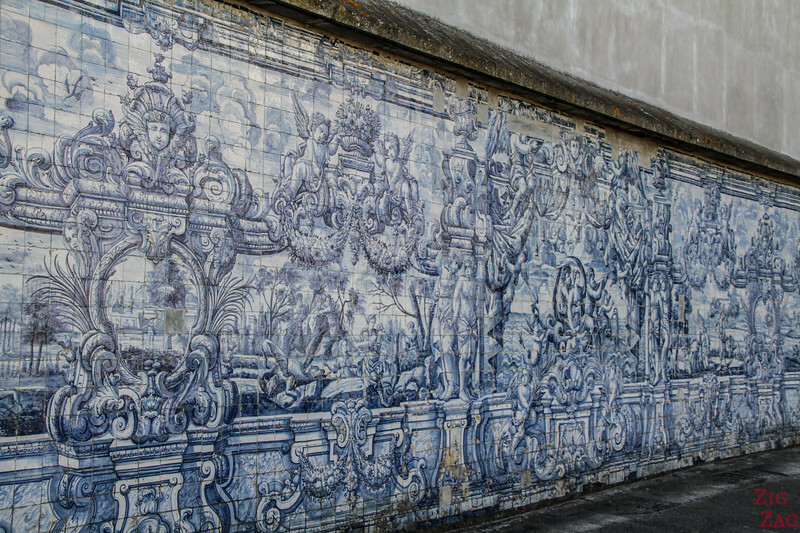 IT is not the best one I have visited in Portugal but it has a lot of character with the beautiful Azulejos tiles. 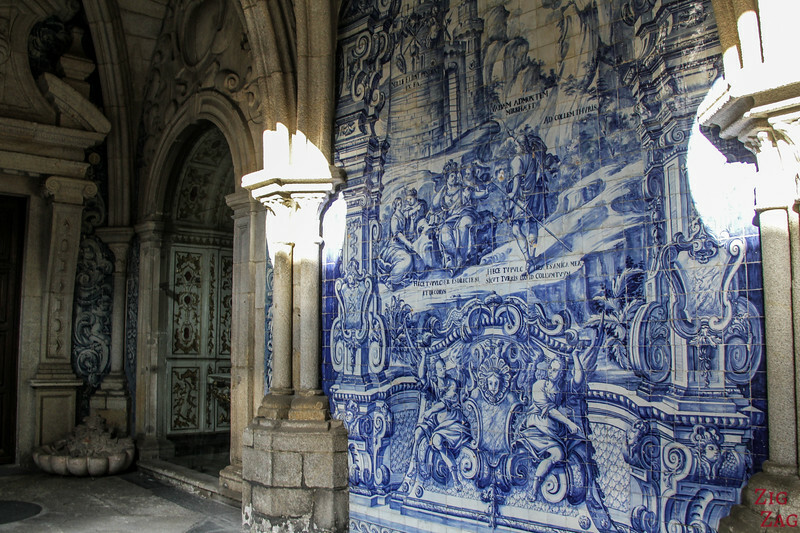 Those blue tiles are typical of Portugal. You will see them often on your road trip. 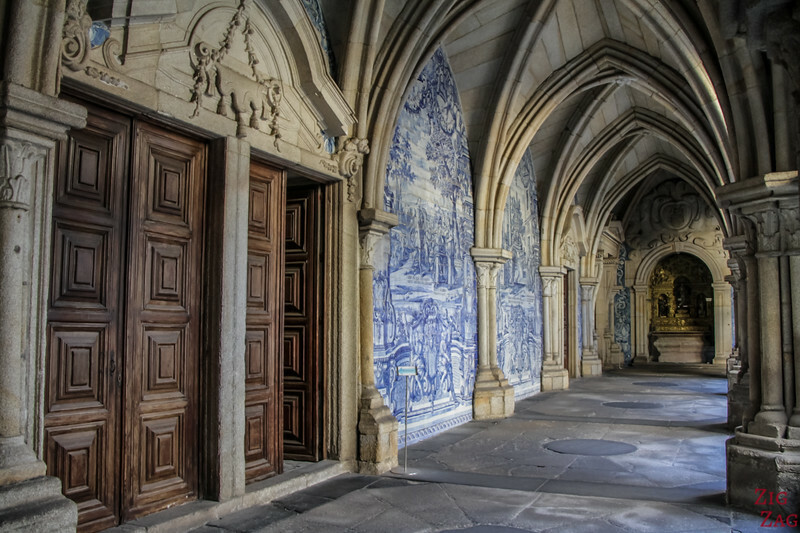 They were added to the cloister during the 18th century. 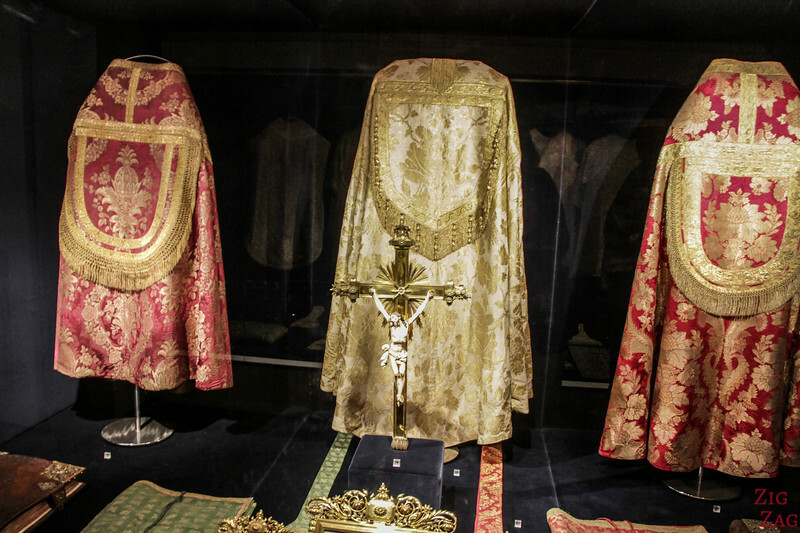 From the cloister you can enter the sacristy. 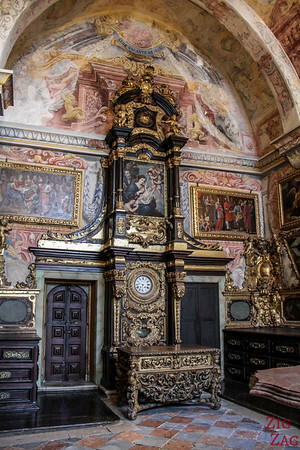 It is decorated with a lot of Baroque pieces. There is also a small chapel in the cloister. 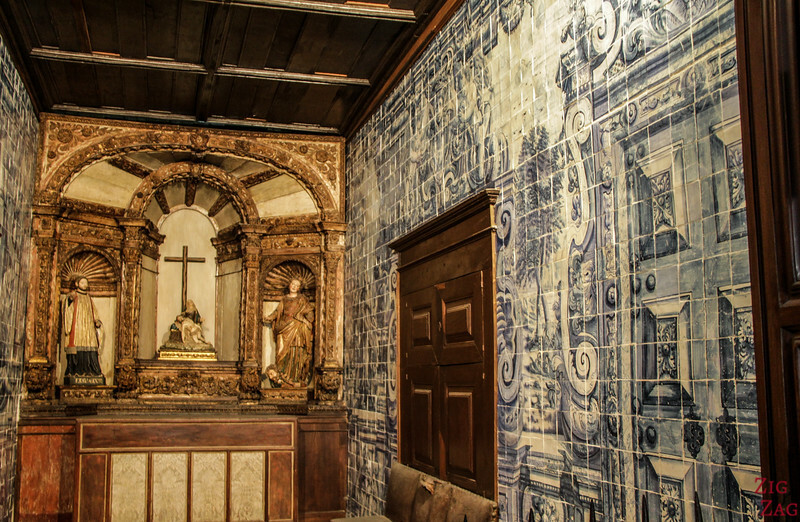 The side wals are all covered in azulejos which contrast with the wood. 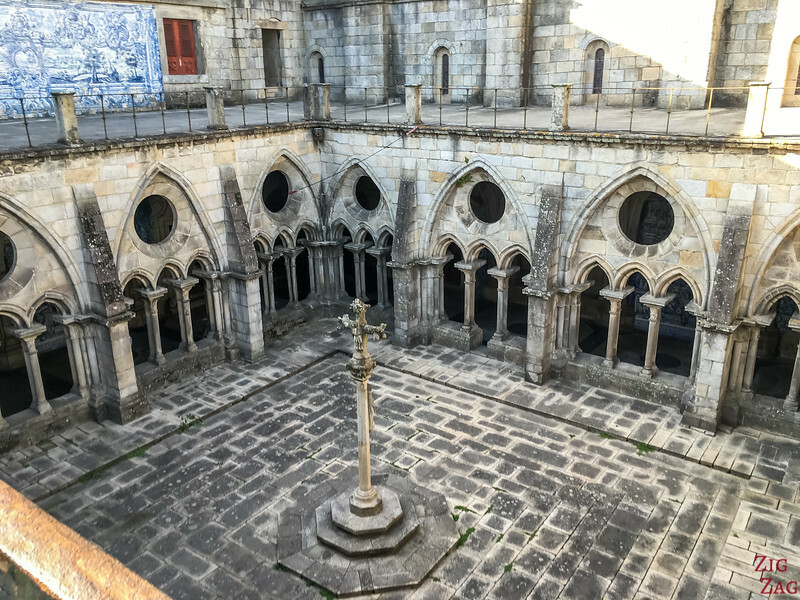 Then you can take the Nasoni staircase to admire the cloister from the first level. 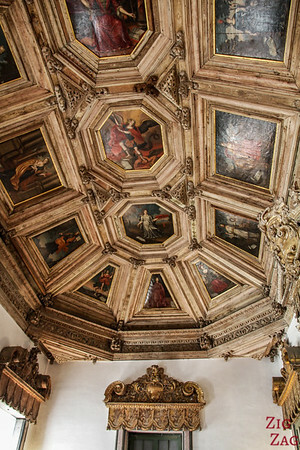 From here you can see more Azulejos tiles and better appreciate the cupolas of the tower. Looking down you see the quadrangle of the cloister. From there you can enter the Chapter Room. 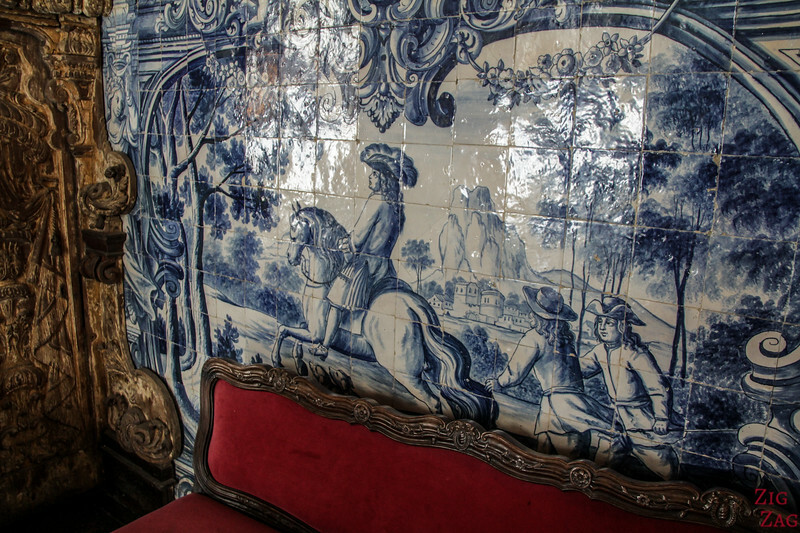 Sadly there we not signs or explanations about all the tiles, paintings and rooms. 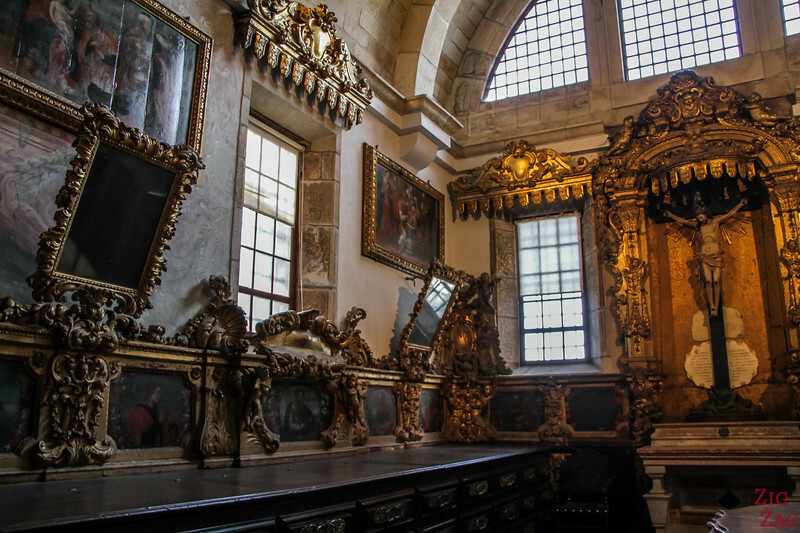 For a fee you can also visit the Treasury with a small collection of Early Christian artifacts and art. 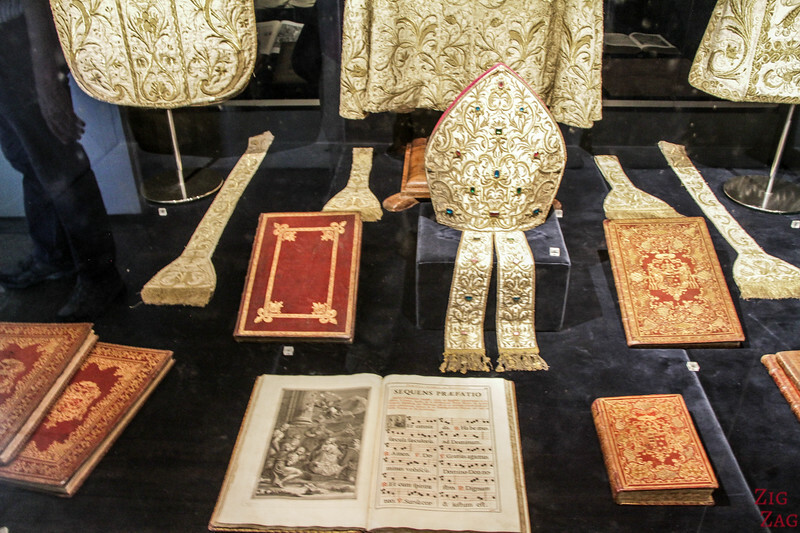 For example you can see a lot of Silk Ceremonial gowns, leather bounded bibles, crowns and altar pieces. You will see a lot of gold and silver from South America. Je m'excuse je n'ai pas très bien filmé, mais ça vous donne un idée. 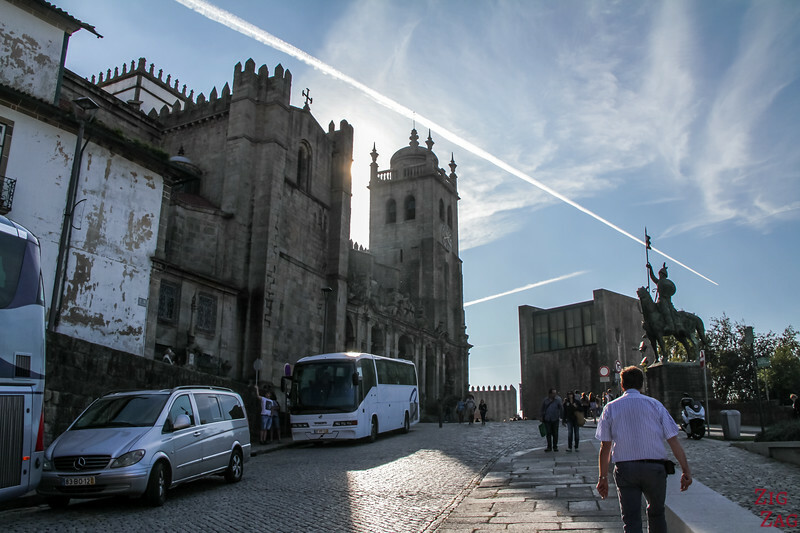 The Hop ﻿﻿on﻿﻿ Hop of Bus stops right next to the cathedral in Porto on its Blue Route. It is a great way to get around Porto an save your knees and muscle + it has another route that goes to the sea and beaches.